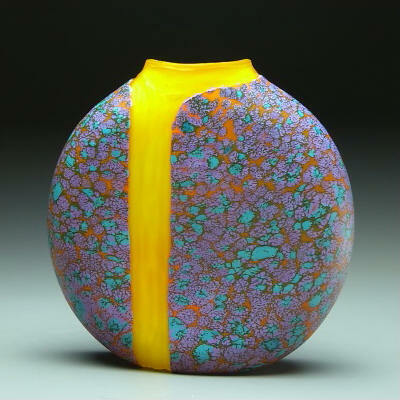 The artist layers opaque purple, lavender, tangerine, and turquoise frit over a core of translucent Opal Yellow glass during the blowing process. 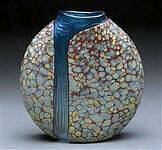 He then carves through the layers to reveal the blue glass beneath. Sandblasted matte finish. 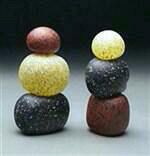 Each piece is unique and will vary. 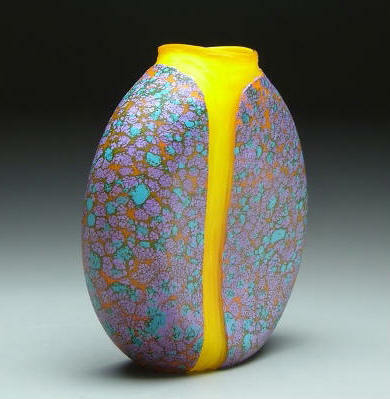 Approximate Dimensions: 7"h, 7"w, 3"d.